There’s a certain appeal for some people, to the idea of being incorporated, a clear sense of having made it: incorporated companies play in the major leagues: it’s no longer Adam’s Widgets, or even Adam and Eve’s Widgets; it’s now the A&E Corporation, or A&E Inc. and it looks great on the business card! But if Adam or Adam and Eve are successful and happy in their sole proprietorship or partnership, respectively, then why incorporate? A good question and before making any decision, it should be answered. Government websites as well as those of private companies such as banks can provide a wealth of information. Although some of it can be highly technical, don’t let it prevent you from acquiring a general overview of incorporation as well as its advantages and disadvantages to you specifically. If you then decide to go forward, you’ll have gained sufficient understanding and background to maximize an initial consultation with a lawyer and an accountant, whose advice should prove to be invaluable for you. The concept of a corporation is fascinating. It exists as a legal entity, just as a person does, with rights and responsibilities. In human fashion, it earns income and profit, can suffer loss, pays taxes and can be sued. It has a birth when its Articles of Incorporation are officially accepted by the government, and it can die by a legal act called dissolution. You might be the creator of the A&E Widget Corp, but like your children, the corporation will take on a life of its own. If you incorporate in Ontario, then you will apply to the Ontario government; if, however, you intend to establish operations in other provinces, then you should apply to the federal government. Your request must provide the proposed bylaws, a list of the company directors and a unique name for the business which the government will search to ensure it isn’t a duplication. You can ask the government to assign a unique number which will make you a ‘numbered company.’ At the end of a successful process, you’ll receive your Certificate of Incorporation. Congratulations: you’re now the owner of the A&E Widgets Corporation. Because there are costs associated with the process of incorporation as well as the added complication, for most people starting out with one of the two simpler business structures makes sense. 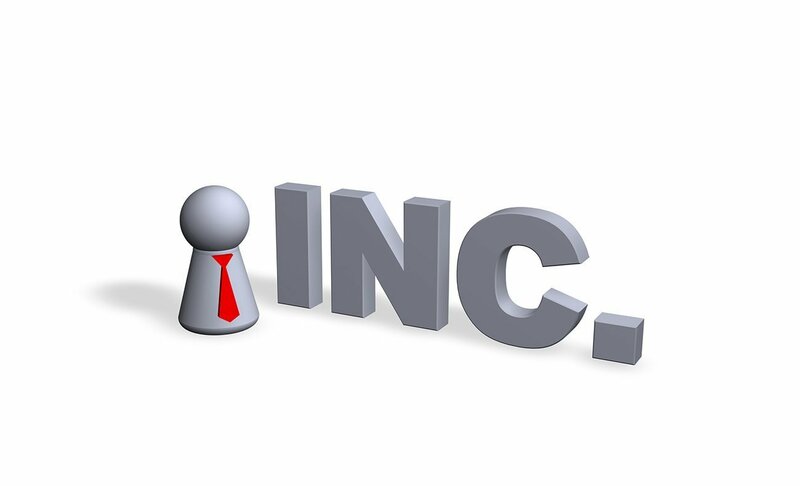 If your company is operating profitably, however, and generating more income than your life expenses require, then this is a good time to consider incorporation. One of its major advantages is the lower rate at which corporate profits are taxed. Those extra earnings will be taxed at a rate less than that of your personal income tax, a strong argument for incorporation. Additional benefits include the ability to hire your spouse and children; in addition to the salary they can earn, their income is deducted from the corporation’s earnings resulting in reduced taxable profit. And the tax that your family members pay will likely be less than your personal income tax rate, further reducing the tax load. Other considerations include income splitting and the ability to offer dividends; keep this in mind as a discussion point when the time is right for expert consultation. Aside from income and tax considerations, there are a number of other advantages for the corporate owner. The previous blogs about sole proprietorship and partnership explained that these owners are personally liable for any losses incurred by the business and therefore they can be sued. However, because a corporation is a legal entity, it takes on the responsibility for losses; should your business be sued, it will be the corporation that is litigated: your home and savings are protected. There are certain, reasonable, exceptions to this; for example, although you are protected from negligence caused by your employees, you can still be sued for your own negligence. Raising capital for business growth and expansion and the ability to ensure that the business continues after you (a legacy issue) even when no family members are interested in taking on the reigns of the A&E Widget Corp are additional advantages available to corporations. But it is the tax and profit implications and the protection from loss that are the main attractions of the incorporation model. Here too, however, there are reasonable exceptions to the protection afforded an incorporated company. Recall, for example, sensational stories of directors and officers of major corporations who have been tried and sentenced for illegal activity. The disadvantage of incorporating is that the requirements for startup are more involved and expensive. Commercial agreements require additional legal and accounting support and involve two sets of taxes, your own and the corporation. And because your business will be subject to complex corporate and commercial law, you should plan on retaining legal and accounting expertise. If the A&E Corp succeeds and grows, there is the unusual situation that you can be forced from your own business. This really isn’t likely for most of us, but it’s an interesting possibility. If Steve Jobs had not died an untimely death, you could ask him. After founding the Apple company in his garage in 1976 at the age of 21 and becoming a millionaire just two years later, Jobs took Apple public in 1981. He then hired the man, John Scully, who would convince the board of directors to side with him against Jobs in a bitter battle about the company’s direction. Jobs effectively lost control of his creation and, at the age of 30, was forced to resign from Apple. True, even those who incorporate are unlikely to take their company public, but it clearly can happen. The Steve Jobs story is a fascinating look at the power struggles of the corporate world. If all that seems highly improbable to you as you contemplate incorporation, it likely did to Jobs and Wozniak when they dropped out of college to set up shop in Job’s parent’s garage. But you don’t need to duplicate Job’s phenomenal success with Apple to make your way through the corporate business model. Remember that it’s easier to prevent an error than it is to repair it, especially when it comes to the government. Find the knowledge you want and acquire the legal advice you need by contacting us: visit HowardNightingale.com and call 416 663 4423; toll free at 1 877 224 8225.